When musicians and pop stars start turning up murdered sporting one of Derek Zoolander's (Ben Stiller) famous looks, Interpol wants to contact him to help with the investigation. Unfortunately, Zoolander has been in hiding after his wife was killed when his 'Center for Kids Who Can't Read Good...' collapsed on her and his son was taken away by CPS because he was an unfit father. Luckily, Zoolander has just received an offer to return to modeling from fashion icon Alexanya Atoz (Kristen Wiig). He hopes to show the world he has what it takes to be a fit father, and Interpol hopes he can unravel the mystery surrounding these celebrity murders. When the original "Zoolander" came out 15 years ago, it was a relative flop at the box office, though it went on to achieve cult status on the home video market. The original film stands on its own just fine, which begs the question, who, besides those involved in making this movie, asked for a sequel? No matter, because we got one anyway! Now, actor and director Ben Stiller brings his character Derek Zoolander back to theaters in "Zoolander 2," and he is just as dumb as ever. Over the years, both Derek and Hansel, played once again by Owen Wilson, have gone into hiding, each for different reasons. Derek is in hiding because his life has fallen apart, and Hansel has gone into seclusion because his face was disfigured when Derek's reading center fell apart on top of him. Once these two come out of the trenches, the film thrusts the two enemies-turned-friends back together in an attempt to create some semblance of a plot, hearkening back to their modeling days and ushering in a newer, more hip Zoolander and Hansel. Much like the original, "Zoolander 2" tries to satirize many current fashion and pop culture trends, but where the original contained much more subtle wit over obvious ignorance, now, we have a sequel that is fine being more stupid over slightly intelligent. The film throws joke after joke and cameo after cameo at the audience in the hopes something will stick and makes us laugh. If we're being honest, yes, there are moments in this movie that made us laugh, a lot more than we expected and much more than we care to admit. However, for every joke that lands, there are at least half a dozen gags and moments that fall completely flat, the bad outweighing the good. These left us audibly groaning and rolling our eyes for over half the film. As we mentioned, what would this sequel be without a billion pop culture references? While there are some relevant ones involving Justin Bieber and Instagram filters that the teenagers in the audience will easily understand, there are some references that are so old and so outdated, it left us asking, "is anything about this movie even relevant anymore?" We're sure kids will get the Barry Gibb reference. We're positive kids today will know about Elian Gonzalez. We're 100% certain Susan Boyle still has all the kids a-talkin'. For a movie about finding ones relevance, there sure are a heck of a lot of disconnected references. While kids won't get these jokes, most adults won't be able to tell you what quasi-celebrities pop up here and there, like Jerome Jarre and professional joke plagiarist 'The Fat Jewish'. "Zoolander 2" never seems to find its balance between wanting to connect to older fans of the original and newcomers who may love the sequel. There are several new elements that just don't work to this movie's advantage. First, the babbling hipster fashion designer Don Atari, played by Kyle Mooney, is one of those subtle attempts to say something about the current generation of fashion designers and celebrities. We get it, he's the anti-fashion fashion designer (~*so unique*~), but to us, Don Atari was hands down the most annoying part of "Zoolander 2." We wanted him off the screen five seconds after he first appeared. It's almost as if the writers of this movie went online and looked up "things a douchebag would say" and added the first 50 phrases into their screenplay, along with a hefty dose of rambling, nonsensical new age lingo that not even the youngest audience goer would understand. 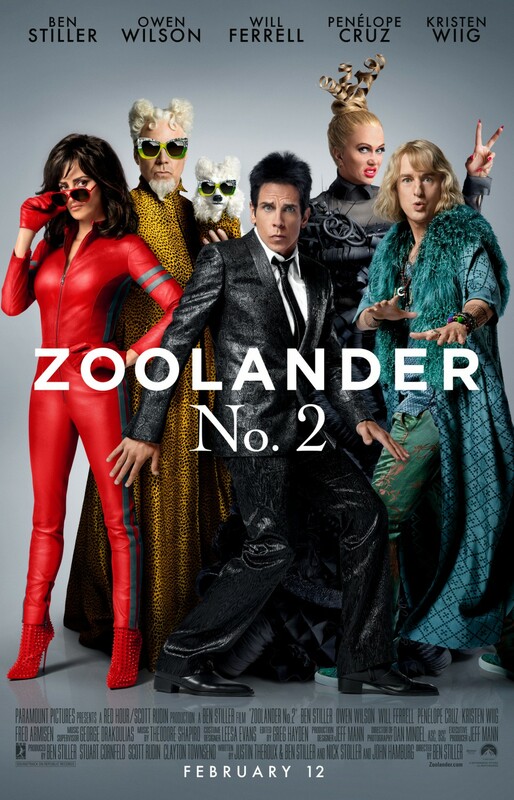 There is no need for his character to exist, especially when "Zoolander 2" was already employing Kristin Wiig as Alexanya Atoz as a bizarre, over-surgeried, floating fashionista. Her character is a much better satirical representation of many fashion designers, new age and old school. Also new to the cast is Penélope Cruz, who plays Interpol fashion police agent Valentina. When push comes to shove, her character is basically useless, too. Finally, returning to the cast is Will Ferrell as evil fashion designer Mugatu, who has some of the most funny on screen moments as he occasionally points out the absurdity of what is going on, though even he has a few moments that completely miss their mark. 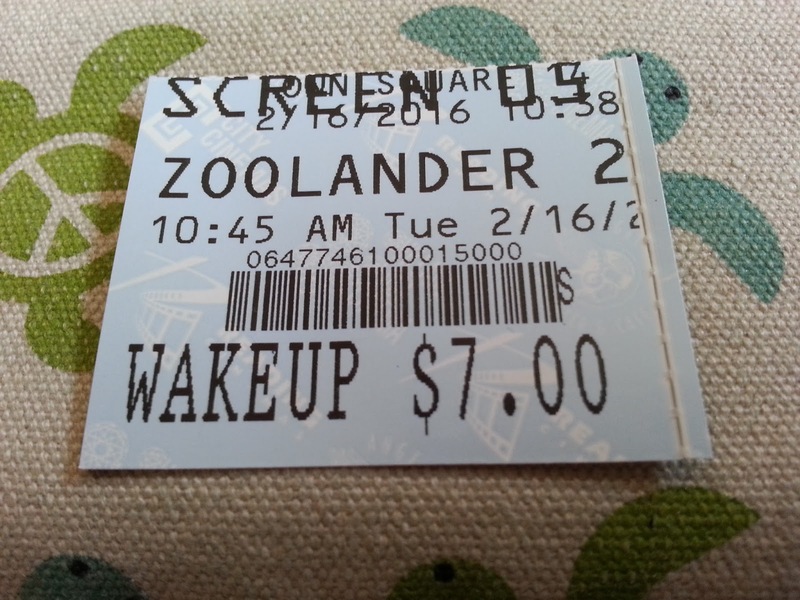 In the end, "Zoolander 2" doesn't hold a candle to the original. While we fully understand that most people hate the first film, we disagree and like it more than we probably should. "Zoolander 2" doesn't quite cut it, lacking the wit and well placed cameos of its predecessor in lieu of an endless stream of verbal diarrhea and celebrity name-dropping, which are often presented without any context other than "oh look, it's Willie Nelson." Though there are a couple of moments that made us genuinely laugh, usually when Neil deGrasse Tyson is involved, these moments are few and far between as we were left wanting much, much more than this haphazard rehash. One year ago, we were watching: "Seventh Son"